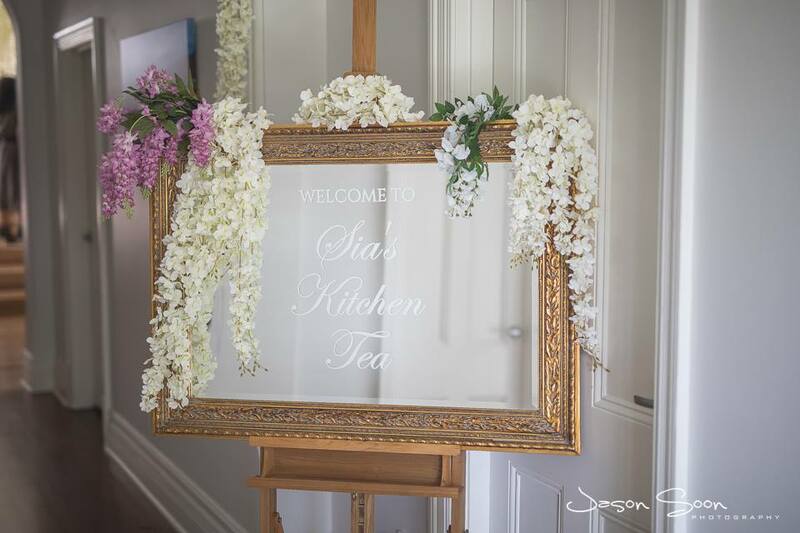 Sia’s stunning Kitchen Tea was inspired by the grand soirees of Marie Antoinette. 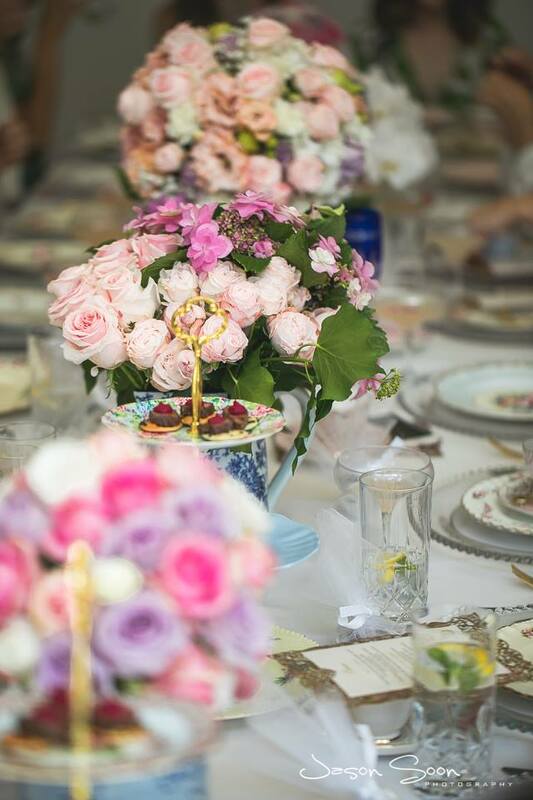 Sia had a vision and contacted us to help bring it to life. 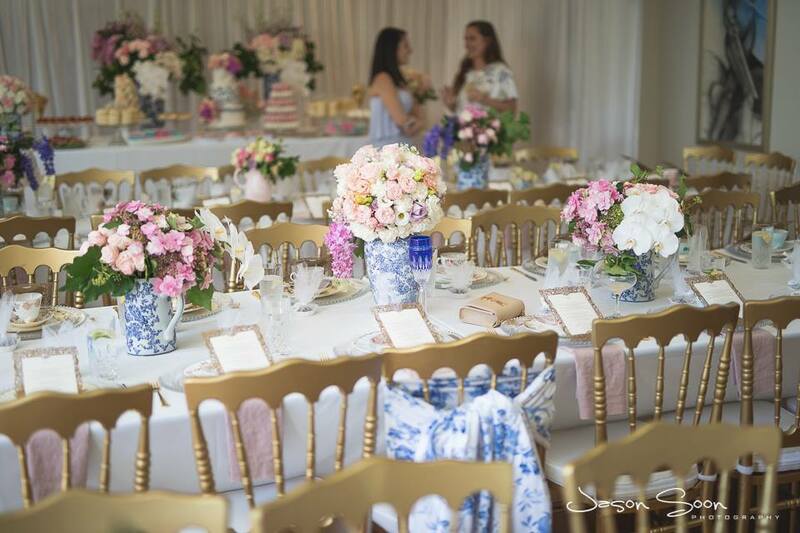 We supplied luxury vintage tea sets in pale pinks and blues with floral touches. 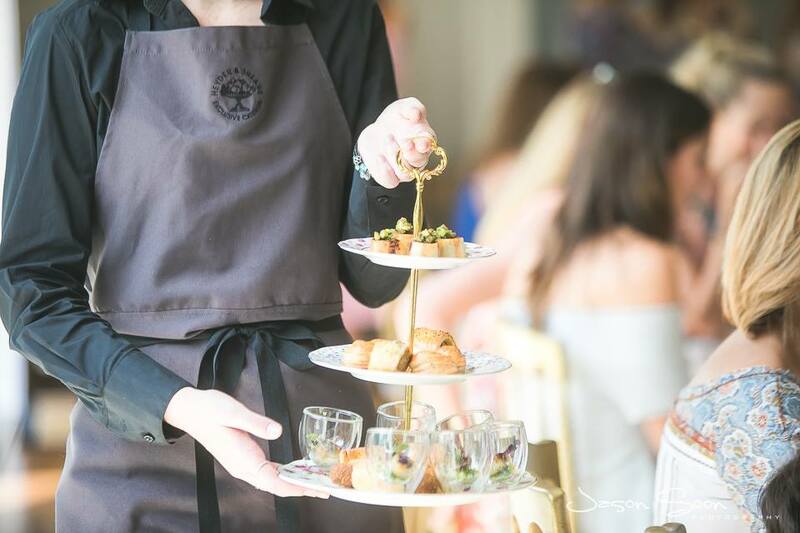 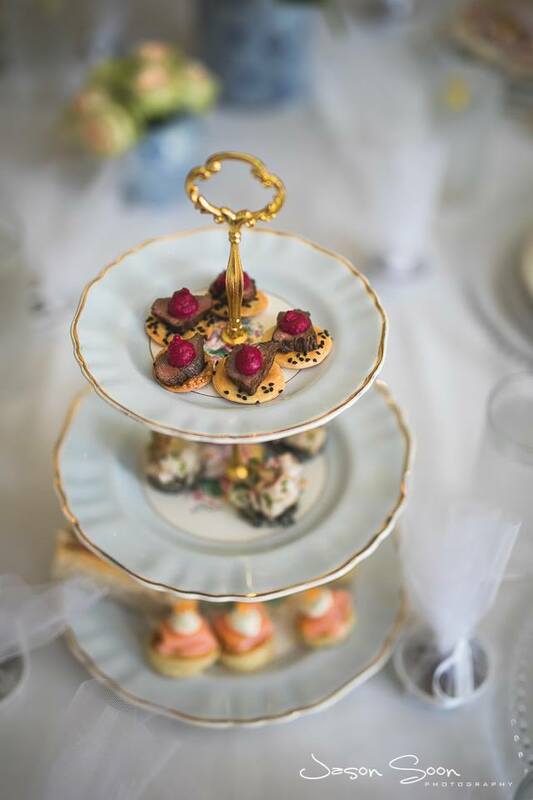 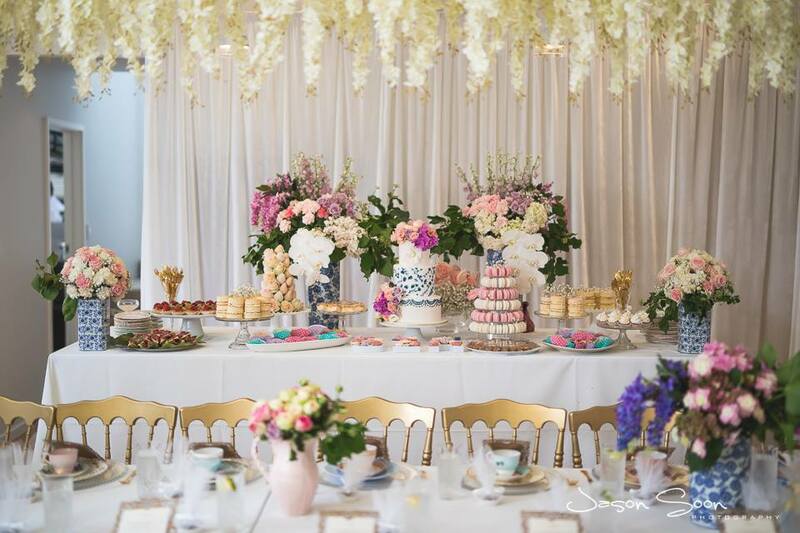 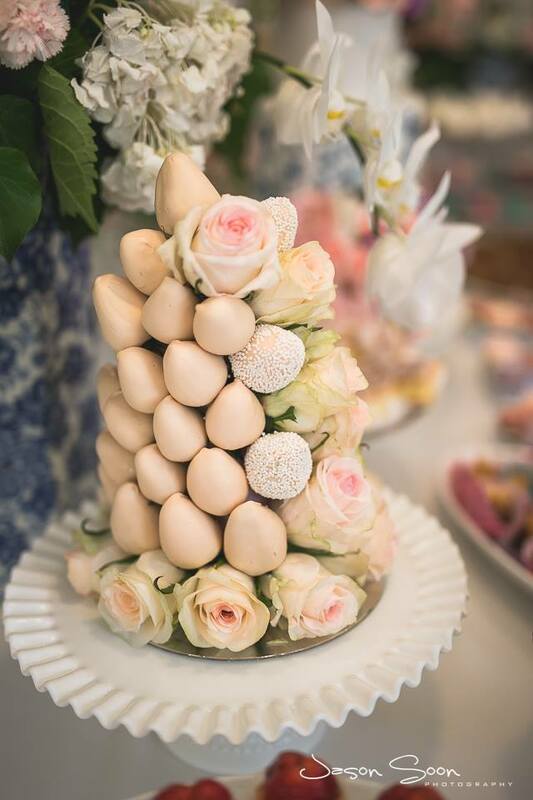 We also provided vintage 24ct gold plated cutlery, vintage entree plates in pinks and blues, vintage three tiered cake stands and vintage pedestal cake stands in crystal and milk glass. 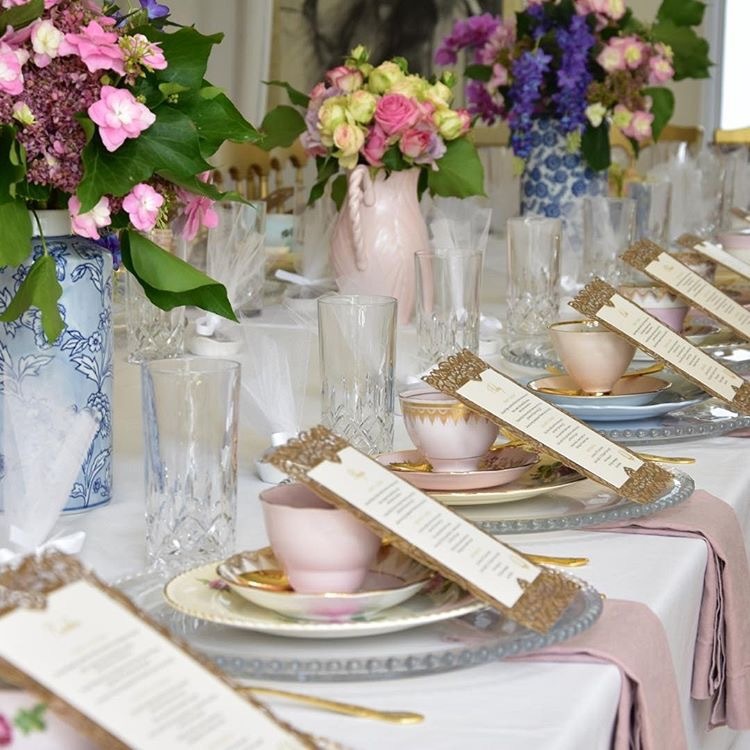 The beautiful menus and stationery were from Annie P. Paperie. 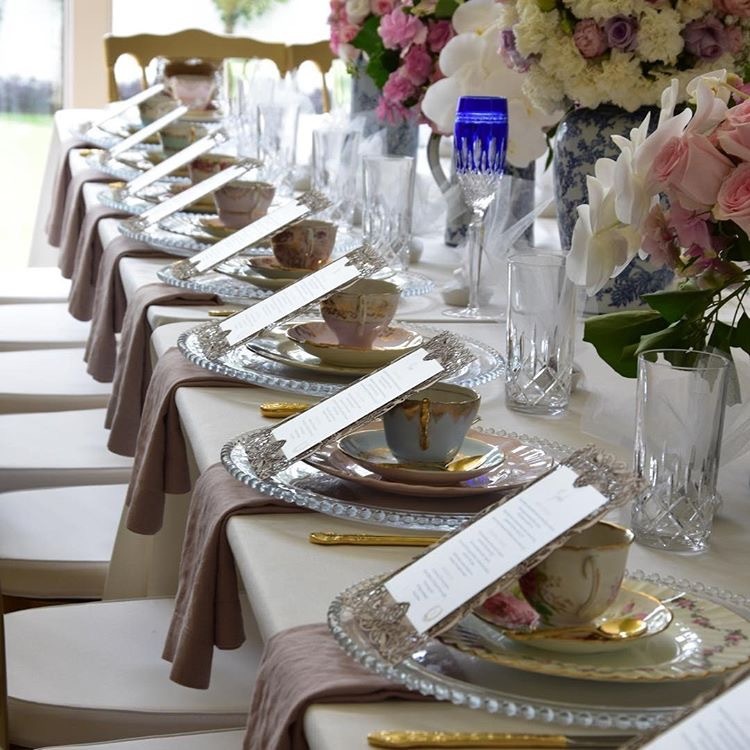 Catering by Heyder & Shears. 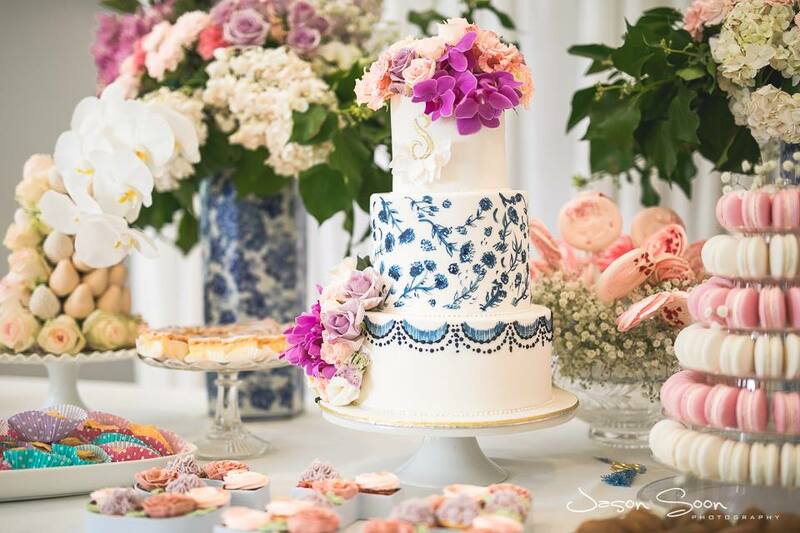 The dessert table and that wonderful hand painted cake were from Amy at De La Rosa Cakes. 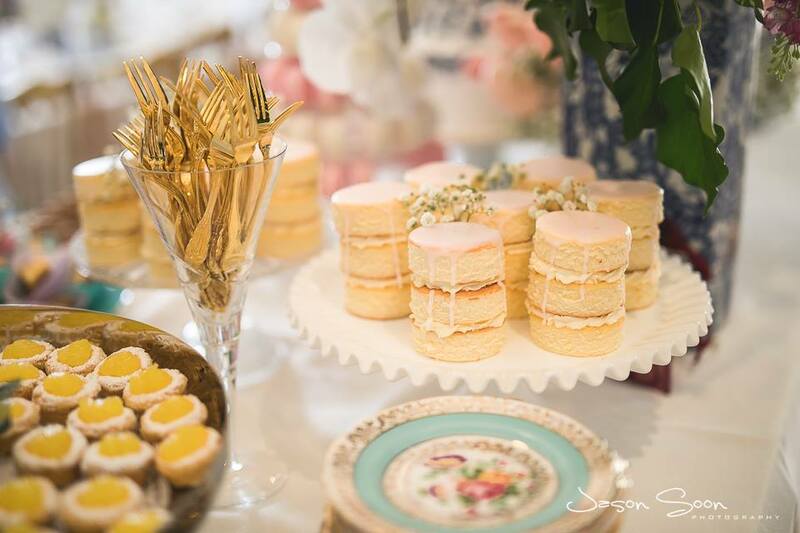 Photography by Jason Soon. 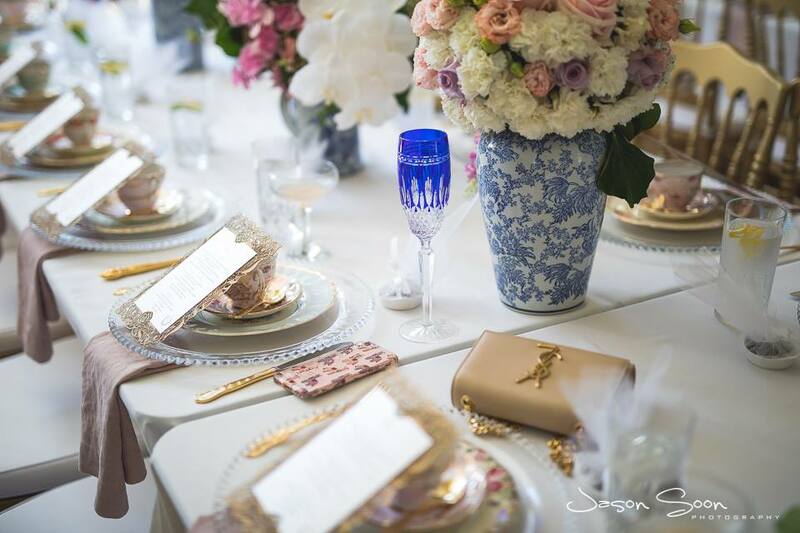 Styling and florals by Sia!